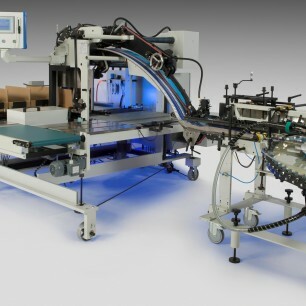 Automatic folding carton packer with a history of success. Suited for Straightline Cartons, as well as 4-Corner Boxes and 6-Corner Boxes. Speed and versatility in a cost-effective package. Request more information on this J-Pack Carton Packer by clicking the “Get More Info” button to the right or, view more details in the product PDF below.